Have the festive season’s events and indulgences left you with a toxic overload? Or a weight overload? You can help undo the damage wrought by excesses in your enjoyment style over the last few weeks, or last few years, by doing a detox. Even if you think that your eating and drinking habits have not been unusual, you may ask: Are you tired? Gaining weight? Noticing cellulite? Having skin breakouts? Getting sinus congestion? Being more prone to infections? Help reverse this damage to your body caused by bad habits, diet and medication and address the metabolic imbalances underlying your health problems. You will regain your vitality and achieve more in your life. 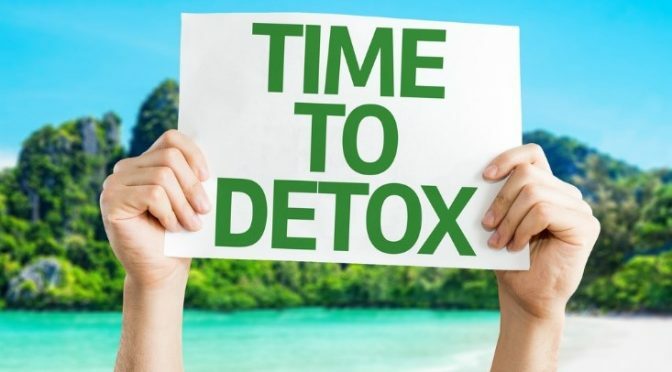 Detoxification involves dietary and lifestyle changes to reduce the intake of toxins and to improve liver function to facilitate their elimination. It all depends on how determines you are to improve your health and feel better. There isn’t one detox for everybody, as there isn’t one weight-loss program for everybody. But there is a personally designed diet for your body type. Our naturopath at View to Health will design a detox especially for you. These come from foreign entities in food such as artificial additives and preservatives, residues from pesticides and herbicides, heavy metals in the soil from pollution, foreign substances in unfiltered water and in the air, metabolites from medications and other drugs and from excess amounts of alcohol. Toxins also come from metabolites in the body which have not been processed completely by the liver, such as hormones and antibodies, oxidised components and trans-fatty acids which cause oxidation of fats in the body etc. What role does the liver play? The liver detoxifies products of digestion and other metabolites in two phases. The first phase makes these metabolites more water-soluble by oxidising them and this makes them more reactive. The second phase conjugates these metabolites so they can be transformed into other compounds needed by the body such as proteins, enzymes and hormones to name a few. Good liver function is critical for the clearance of these reactive intermediates. The cytochrome P450 (CYP) enzymes in the liver remove accumulated material and detoxifies bile acids and drugs. Up to 80% of bile is reabsorbed, so it is important that it does not contain metabolites the have not been detoxified. What foods can I eat on a detox? Freshly prepared foods, organic where possible, and no artificial additives or sugar. Vegetable juices are a feature and plenty of water is included. Herbal and nutritional supplements are prescribed to improve elimination via the liver, kidneys and lymph. How long will the detox last? Anywhere from a few days to a week, depending on what’s practical for you and how intense it needs to be, after which a maintenance regime will be given. It is important that this includes organic foods and anti-oxidants. How do I know that my liver function has improved? You will not be experiencing nausea, dark circles under the eyes will be reduced and any halitosis will be improved. You will notice improvement in health and vitality. A liver function test can also be arranged. This year make a change to your life!